Kaizen Factor | Toyota returns to Le Mans and World Endurance Racing! Home / Hybrid / Toyota returns to Le Mans and World Endurance Racing! For a carmaker that has frequently been lambasted as an unenthusiastic maker of rolling appliances, Toyota has certainly been showing a lot of unconventional motorsports initiatives lately. Within the past month and a half Toyota has shattered the Nürburgring electric vehicle lap record, set a fastest production car lap of the Nürburgring with the Lexus LFA (albeit for all of two weeks before a tweaked Dodge Viper ACR came back to reclaim its old record) and even set a whimsical speed record for compressed air-powered vehicles (via its Toyota Industries Corporation subsidiary, the world’s largest manufacturer of automotive air conditioner compressors). And now comes word of the most exciting and long-awaited bit of Toyota motorsports news in a loooong time: the official return of the carmaker to the 2012 24 Hours of Le Mans race, as well as to several races of the inaugural FIA World Endurance Championship. Besides the rendering above of “Toyota’s 2012 Le Mans Contender” (as yet unnamed), the Toyota Europe blog, as well as the company’s European Corporate, USA and Global Newsrooms and the Toyota Motorsport GmbH (TMG) site inform us that the racer in question will be built to LMP1 (Le Mans Prototype 1) class rules utilizing a chassis designed, developed and produced by TMG’s high-performance technical center in Cologne, Germany and powered by a gasoline-electric hybrid powertrain produced by Toyota Motor Corporation in Japan. This will certainly add a new wrinkle to the ongoing gasoline vs diesel battles of the most recent editions of the 24 Hours of Le Mans race that have seemingly made the latter the fuel of choice. Toyota Motor Corporation has entered Le Mans before but by using our hybrid technology this time will be a completely new challenge. We want to write a new page in the history of the Le Mans 24 Hours, as well as in the FIA World Endurance Championship, through our use of hybrid technology. In addition, we aim to learn from the experience of competing in such a challenging motorsport environment to enhance our production car technology. Le Mans is a legendary race and I would like to thank the ACO and the FIA for their constructive and positive cooperation over the last few months. FIA? ACO? WTF is up with all the acronyms? Five years ago the FIA and ACO started to work together to harmonise regulations. After Jean Todt, an avid endurance racing supporter, was elected as the new FIA President he realised that a great endurance championship was missing. Soon after (that) he sat down with (current ACO President) Jean-Claude Plassart and the result of those talks was more appreciation between the FIA and the ACO and the birth of the World Championship. Other acronyms you’ll be seeing throughout this story are ALMS (not money or charity given to the poor, but the American Le Mans Series) and ILMC (Intercontinental Le Mans Cup), an endurance sports car racing tournament organised by the ACO with 7 European, Asian and American events that, in 2012, will be replaced by the WEC (World Endurance Championship). And WTF? I don’t think we need to explain that one, although that may be, precisely what you’re thinking after wading through this alphabet soup of acronyms. For starters, it would appear that the FIA World Endurance Championship will replace both the Intercontinental Le Mans Cup and the FIA GT1 World Championship in 2012, basing the new calendar on the ILMC’s current season now underway. The official calendar will be announced in the fall, and will consist of seven races of at least six hours each: two in the United States (likely Sebring [in Florida] and the Petit Le Mans at Road Atlanta), two in Asia (probably in China and Abu Dhabi) and three in Europe (including Le Mans and two others – we’d guess Spa [in Belgium] and Silverstone [in England]). Points will be awarded on the same scale used in all FIA championships, awarding 25 points for first place, 18 for second, 15 for third, then 12, 10, 8, 6, 4, 2 and 1 point for tenth place. The headline 24 Hours of Le Mans, however, will be worth double points towards the titles. The classes will follow the ACO’s formula, consisting of LMP1, LMP2, GTE Pro and GTE Amateur. Just over a week after the second joint FIA/ACO announcement, Autosport.com reported that “Toyota has been testing an all-new LMP1 car since last year, and could return to the Le Mans 24 Hours as early as 2013”. As the rumor spread through the Internet, Autoblog‘s commentary suggested a more optimistic 2012 Le Mans entry for Toyota, a goal that, 4 months later, the carmaker has confirmed. There remains uncertainty about whether Petit Le Mans at Road Atlanta–where the ALMS (concluded) its 2011 season–will be a WEC round in 2012. The ACO wants to take its championship to South America, almost certainly Brazil, but (ALMS boss Scott) Atherton said he believes that there is still a strong chance that Petit will take a place on the WEC calendar as it has on the ILMC schedule in 2010-11. On Friday 30 September 2011, however, ACO’s official Le Mans.org website did confirm that the 2012 FIA World Endurance Championship (as well as the 2012 American Le Mans Series) would kick off with the 12 Hours of Sebring on Saturday 17 March 2012. Will Toyota’s new endurance racer be ready to compete in that event? It’s too early to tell, but this author, who lives but a 3-hour drive south of Sebring, would certainly be ecstatic. What are the current LMP1 rules? 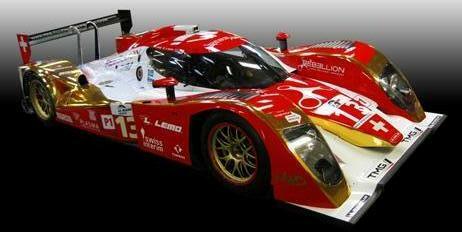 Toyota has stated that their upcoming 2012 Le Mans Contender will be built to LMP1 class rules. But what, precisely, are those rules? As of 2011, either open or closed bodywork is allowed (with Toyota clearly choosing the latter) with a minimum weight of 900 kg (1984 lb) and powered by engines no larger than 3400cc for naturally aspirated gasoline engines, 2000cc for boosted (either supercharged or turbocharged) gasoline engines and 3700cc for diesels, with no limit on the number of cylinders. 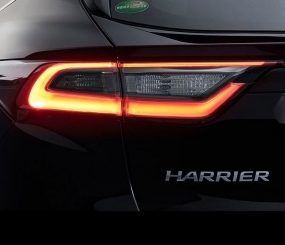 Hybrid electric powertrains are allowed (surely the main factor that attracted Toyota in the first place), but, in an attempt at parity, maximum fuel tank capacity is capped according to powertrain, with a limit for the 2012 season of 75 liters (19.8 US gallons) for gasoline-powered engines, 73 liters (19.3 US gallons) for hybrid gasoline-electric engines, 60 liters (15.8 US gallons) for diesel engines and a likely 58 liters (15.3 US gallons) for hybrid diesel engines. More information on hybrid rules (such as a prohibition on “push to pass” buttons) appear in the Le Mans Series site’s Categories page. Biofuels are allowed, either gasoline with a 9-10% ethanol content or BTL biodiesel. Further information on the rules, such as bodywork limitations, appears on the Le Mans Series site’s Regulations page. Almost a week ago, the ACO announced tweaks to the 2012 rules, primarily aimed at reducing the diesel powered cars’ advantages versus their gasoline-powered brethren. These are summarized by Anne Proffit of MotorAuthority and detailed by the PlanetLeMans site. Will Toyota’s hybrid expertise be able to quash the Le Mans diesel juggernaut? As followers of Le Mans-type endurance racing are well aware, the series is currently a battle between two diesel-powered juggernauts: Audi and Peugeot, with the former more often than not taking the upper hand. So, will a Toyota gasoline electric hybrid-powered assault on endurance racing ultimately prove to be as futile and quixotic a quest as its 8-year attempt to reach the summit of Formula 1 racing? It certainly won’t be easy, and further competition may well come from Nissan (which already tried its hand at the 2011 24 Hours of Le Mans in the lower-tier LMP2 class in conjunction with the Signatech team), Ferrari, Chrysler (with the next-generation Dodge Viper), Jaguar and a rumored expansion of Volkswagen Group efforts that would add to the Audi diesels with a gasoline-hybrid Porsche (which has officially announced its own LMP1 entry for 2014) and an E85-powered Bentley (provided the rules were amended to allow for this). Yet, when it comes to the hybridization of motorsports, Toyota may have something of an advantage, given its prior experience with the Toyota Supra HV-R hybrid racer that won Japan’s 24 Hours of Tokachi back in 2007. And Alex Duff of Bloomberg reported that Peugeot on April 2011 abandoned plans to run a 908 Hybrid4 in an official test at this year’s Le Mans classic, citing reliability problems. Audi, meanwhile, has spent 2 years grappling with issues designing and testing hybrid parts while keeping weight down. Thus, Toyota’s strongest hybrid rival may well be Porsche, whose 911 GT3 R Hybrid has won a couple of shorter races. It’s highly unlikely that the car will use any variation of Toyota’s famous Hybrid Synergy Drive, since Le Mans regulations forbid automatic transmissions, which would exclude HSD’s continuously-variable unit. Our best guess is the car will likely use a Kinetic Energy Recovery System, in the form of a flywheel capacitor system (like the Porsche 911 GT3 R Hybrid) or a more conventional battery-operated system. In yet another example of motorsports engineering advances trickling down to production cars, would a positive side effect of this be to help make the rumored manual Prius sport coupe a reality? As has been hinted at earlier in this article, this is hardly the first time Toyota has competed in Le Mans or other forms of endurance racing. We just touched upon the Toyota Supra HS-V, which itself was preceded by a race-prepped Lexus GS 450h. And some may recall the four years in which the Lexus LFA competed at the 24 Hours of the Nürburgring. 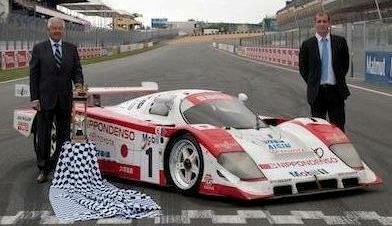 Yet, Toyota’s history in endurance racing goes back much further than that, almost 30 years to be precise. A collaboration between Toyota, their factory supported racing team and tuning shop TOM’S and Japanese-based racing car constructor Dome begat, in 1982, the first of Toyota’s Group C racers, the 82C. Both it and its immediate successor, the 83C ran only in Japan and, in the U.S., at the former Riverside International Raceway. The 85C shown above right, however, marked the company’s first foray into Le Mans, in 1985 (note that the model number matches the year of its release). By that time, the Toyota C racers also competed in the All Japan Sports Prototype Championship, the World Sports-Prototype Championship and North America’s IMSA Camel GT Championship. As Wikipedia informs us, 1988 saw a 2-pronged engine strategy emerge, with an 88C powered by a 3S-GTM 2100cc turbocharged inline-4 and an 88C-V powered by an R32V 3200cc turbocharged V8. Although the C and C-V line of Toyota Group C racers extended all the way to the 94C-V shown at the top of this heading, rule changes announced for the 1992 World Sportscar Championship led to a clean sheet of paper approach and the TS010 racer shown at left. Powered by Toyota’s RV10 3500cc V10 in a new chassis designed by Tony Southgate (formerly of Tom Walkinshaw Racing), the TS010 actually debuted at the final event of the 1991 season at Autopolis in Japan. The TS010’s maiden appearance at Le Mans in 1992 saw a very respectable 2nd place finish, 6 laps behind the winning Peugeot. With the cancellation of both the World Sportscar Championship and All Japan Sports Prototype Championships in 1993, the TS010 saw its final racing appearance at that year’s 24 Hours of Le Mans, where the best of 3 Toyotas finished in 4th place behind a trio of Peugeots. Wikipedia has more information on TS010. The 1994 end of the Group C era led Toyota to shift gears and focus on the production-based GT classes for 1995. This led to a couple of interesting efforts: The Supra LM shown above right and the SARD MC8-R shown below right. The Supra LM, also referred to as the LM GT is, obviously enough, a Mark IV Supra modified for endurance racing by Sigma Advanced Racing Development (SARD), a Toyota-backed Japanese tuning company and racing team. Even more intriguing is the SARD MC8-R, a barely-recognizable derivative of the 2nd-generation (W20) Toyota MR2, lengthened and powered by a twin-turbo version of the 4.0 liter Toyota 1UZ-FE V8 producing 600 hp. Alas, their Le Mans performances were unremarkable, with 24th place (second-to-last of the finishers) in 1996 the best the MC8-R could muster. The Supra LM did a bit better in 1995, finishing 14th overall. Thus, Toyota opted to regroup and skip the 1997 24 Hours of Le Mans altogether (save for a fruitless third attempt to enter the MC8-R that failed to make it past pre-qualifying) and put together an altogether new Le Mans prototype: the TS020. A true successor to the TS010, it would become perhaps the most iconic and moderately successful of Toyota’s endurance racers, rechristened as the Toyota GT-One. A casual glance at the 1998-1999 Toyota TS020 / GT-One shown at left and then comparing it to the 2012 Toyota Le Mans Contender at the top of our story reveals an undeniable lineage and connection between the two. At any rate, 1997’s hiatus gave Toyota the opportunity to stand back and assess what the Le Mans GT1 class competition was doing. The results were a departure for the company in a number of ways. For one, development was entrusted to Toyota Motorsport GmbH (itself descended from the Toyota Team Europe World Rally Championship operation founded in 1972) in Cologne, Germany, and to Italian racecar chassis builder Dallara. As noted in Wikipedia, Toyota paid attention to Porsche and Mercedes-Benz’s creative interpretations of Le Mans GT1 production and bodywork rules, and convinced the ACO that building but 2 “roadgoing” GT-Ones (one of which is in a museum in Japan and the other at Toyota Motorsport GmbH in Cologne, Germany) with a fuel tank that doubled as trunk space (!) met homologation requirements. In May 1998, the Toyota GT-One publicly emerged at the official testing days ahead of June’s 24 Hours of Le Mans. Although quite promising during practice and qualifying (with one of the trio of GT-Ones qualifying in 2nd place), the race itself saw the #28 car suffered a high speed accident around the halfway mark and the #29 car suffer a gearbox failure within the closing hours, thus leaving the #27 entry to finish in 9th place overall. 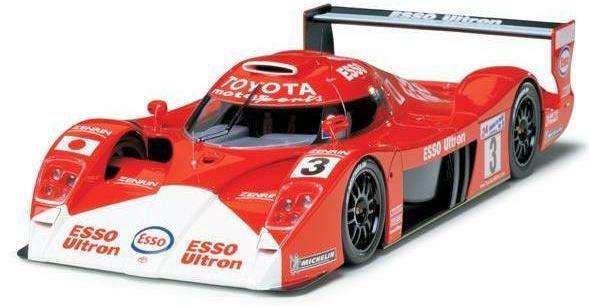 The 1999 season saw the demise of the Le Mans GT1 class that gave Toyota’s endurance racer its name. Fortunately, the changes required to make the Toyota GT-One conform to the new LMGTP class were relatively minimal compared to its rivals. With its carbon fiber chassis and bodywork and powered by an R36V 3.6-liter twin-turbo V8 producing 600 hp through a 6-speed sequential manual transmision, the 900 kg (1984 lb) GT-One proved to be blisteringly fast in practice for the 1999 24 Hours of Le Mans, with a 3 minute 29 second lap that saw speeds as high as 351 km/h (217 mph), a record fast lap that would remain unbroken until 2006. Qualifying saw the trio of GT-Ones start from pole, 2nd and 8th positions. Unfortunately, all three cars suffered from blown Michelin tires, taking two of them out of the race. The #3 GT-One’s tire failure occurred during the final hour of the race as it was in the lead. And, even after the pit crew scrambled to replace the tire, the team of Ukyo Katayama, Keiichi Tsuchiya and Toshio Suzuki finished the race in 2nd place overall (albeit winning the LMGTP class) behind the #15 BMW V12 LMR. The 2000 racing season saw a massive exodus of big name manufacturers from Le Mans, with only Audi opting to return to the French classic. As for Toyota Motorsport GmbH, their efforts were redirected towards their ultimately ill-fated foray into Formula 1. For those of you that want to see more of the cars that made Toyota’s 1982-1999 stints in sports car racing and, especially, Le Mans, so memorable, we invite you to check out the Dome Car Museum page and the Toyota at Le Mans gallery on Top Gear BBC. Toyota Motorsport will return to international racing…for the first time since quitting Formula One at the end of 2009. The German-based arm of the giant Japanese company will supply engines exclusively for two new LMP1 Lola sports-prototypes entered in the Le Mans Series in Europe by the Swiss-owned Rebellion Racing team. Toyota has issued no technical information about the engine, which is believed to be a naturally aspirated, gasoline-fueled, 3.4-liter V8 developed in the company’s Lexus SC430 All-Japan Super GT race car. The deal means that Toyota will debut in the Le Mans Series and will return to the 24 Hours of Le Mans for the first time since it almost won the race in 1999 with its GT1 racer. A Swiss Rebellion? That sounds like the mother of all oxymorons, but, seriously, Rebellion Racing’s two Lola-Toyota B10/60 cars have done quite well this season, winning the Le Mans Series 2011 LMP1 Teams and Manufacturers titles, as the official Rebellion Racing website is justifiably proud to remind us. As to their 2011 Le Mans outing, Rebellion Racing’s dynamic duo, powered by Toyota’s RV8KLM 3.4-liter V8 saw the #12 car qualify in 8th place, while its #13 stablemate started from the 10th position. While the #13 did not finish, the #12 car, driven by Nicolas Prost (son of legendary Formula 1 champion – and Ayrton Senna archrival – Alain Prost), Neel Jani and Jeroen Bleekemolen finished in 6th place overall, making it the highest-finishing gasoline-powered entry, ahead of everything at Le Mans that wasn’t an Audi or Peugeot diesel. This is certainly an auspicious start for Toyota’s new venture into endurance sports car racing, but a pivotal question, among many currently unanswered, is whether or not the Rebellion Racing team and its drivers comprise the foundation for 2012’s efforts. All the TMG decals plastered all over the Rebellion cars in 2011, Rebellion Racing-centric press releases issued by the Toyota Motorsport GmbH site in December 2010 and September 2011, plus a passing mention at the end of their version of the 2012 return to Le Mans news release could be interpreted as favorable omens. On the other hand, the 2012 Le Mans Contender’s high level of Toyota involvement in its bespoke chassis and hybrid powertrain might have little correlation with Rebellion’s parts-bin Lola chassis and non-hybrid engine that is derived from the Lexus SC 430’s Japan Super GT 500 program. 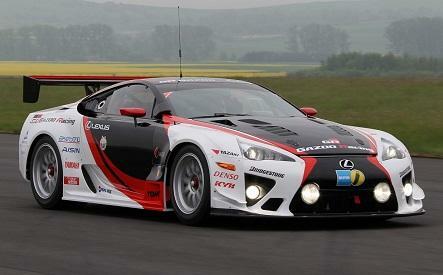 What about the Lexus LFA as Le Mans racer? Fans of the Lexus LFA will note its four appearances at the 24 Hours of the Nürburgring and wonder why it wasn’t the basis for Toyota’s return to Le Mans-type endurance racing. Indeed, back in August 2010 rumors were rife of a factory Lexus LFA team entering the FIA GT1 World Championship. And, soon after the early July 2011 announcement killing the FIA GT1 World Championship and Intercontinental Le Mans Cup in favor of the new FIA World Endurance Championship, the Internet was abuzz again with reports of a Lexus LFA GTE, complete with leaked photos taken at TMG headquarters in Germany that were quickly “removed per Toyota Motorsports request”. So, does the new Toyota LMP1 prototype effectively kill any hopes of seeing Lexus LFA racecars branch out beyond the 24 Hours of the Nürburgring? 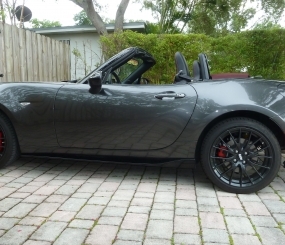 Maybe not, and the key is the three letters GTE. As we noted earlier, the new FIA World Endurance Championship consists of 4 classes: LMP1, LMP2, GTE Pro and GTE Amateur. Beyond LMP1 (which we’ve already discussed) and LMP2 (a lower-budget version of LMP1 that is in clear decline) is Le Mans Grand Touring Endurance (or GTE for short). As Le Mans.org informs us, this class is for production-based sports cars with gasoline engines only, with minimum production runs of 100 models (25 for small constructors, and 300 for cars with a carbon chassis), 300 engines no larger than 5500cc and a minimum curb weight of 1245kg (2739 lbs). The Lexus LFA handily meets these criteria, and would be up against competition versions of such sales rivals as the Ferrari 458 Italia, Porsche 911 GT3, Aston Martin, Chevrolet Corvette and Dodge Viper. Car spec and production rules are identical for GTE Pro and GTE Amateur, the difference being that GTE Pro has no limits on model or driver eligibility, while GTE Amateur allows for only one professional driver per team and cars no newer than one year old.